Tomer Shoval is Chief Executive Officer and a Co-founder of Simplee. A veteran e-commerce leader, Tomer is a respected expert on the intersection of healthcare, technology, and consumers. In early 2010, an unexpected family illness and the resulting avalanche of medical bills inspired Tomer to found Simplee as a way to help others better understand and manage their healthcare bills. 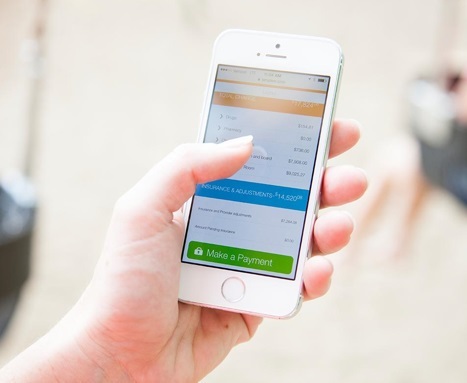 With a focus on creating a consumer friendly experience for patients, the Simplee®PAY platform offers healthcare providers a billing and payment platform that patients LOVE. Prior to co-founding Simplee, Tomer was the managing director of Shopping.com North America (an eBay company). How did you get into the healthcare-tech industry? My background is in e-commerce. I already had a great experience building a startup that was very successful, and I wanted to do it again. The theme was to find a real consumer painpoint that can be solved. Tell us about Simplee. What inspired the idea and what is your vision for the company? I had a horrifying vacation with my wife and kids during which we fell ill. Three months later, we were buried with piles of medical paperwork. It took a lot of time to understand everything. We couldn’t remember if we paid a bill or not, and it wasn’t clear why we had to pay when we have insurance. That was the moment when I said, “This is broken and someone needs to solve it.” It seemed like a great opportunity to apply my commerce experience to the changing vertical of healthcare. 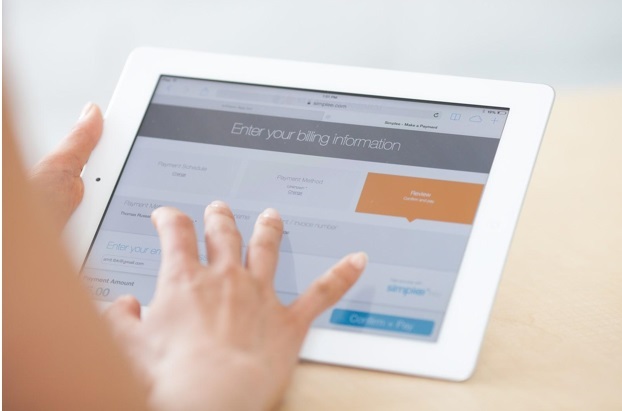 My vision for Simplee is to transform the billing and payment experience for patients. Until 10 years ago, this wasn’t a problem because reimbursement was done by the government and insurance companies. But there has been a massive change to consumer-driven healthcare where the average American pays more money out-of-pocket, in addition to paying for insurance. Recent health reform is accelerating this further. So on the one hand, Americans started paying a lot more of their medical bills; and on the other hand, it’s a broken experience. They’re not sure what they need to pay and why. Fundamentally, we believe that we need to solve this problem for the patient. If we do that, we’ll provide value for the provider and create a win-win in the market. That’s why it’s the platform that patients love; not the platform that reduces a hospital’s cost or increases their cash flow. It does all of that, but it does that because we first solve the problem for patients. What strategic partnerships have you implemented that have attributed to Simplee's success? We’ve established a number of important partnerships across the board. A few include Vantiv for payment processing, the Heritage Group in Nashville, TN who opened the door to the healthcare space, and Wells Fargo who is a banking and payments partner. The Internet. The Internet revolution is definitely not new, but it’s new to healthcare. Mobile is another trend. More and more consumers and patients are using their mobile device. We need to address this and accommodate to it. And third, self-service. There is a big push for self-service. People like to do things on their own—24/7, when it’s convenient for them, and without waiting for the next available representative. This is an important trend that we’re leveraging when we think about our platform. Live with no regrets. Always challenge yourself. My biggest fear is not knowing that I could do something because I was afraid to try. We’re all about solving a problem for patients. We’re about creating something that is convenient, simple, trusted, and accessible. We try as a company to work hard and have fun at the same time. I’ve learned that in building companies, a good idea and going after a big market is important, but 98% of what makes you successful is building the right team and executing. It’s definitely all about the human capital that you’re able to gather. Your greatest success as founder of Simplee? Most difficult moment—how did you overcome and what did you learn? What I’m most proud of and one of the reasons why I decided to become an entrepreneur is to have the privilege of bringing good people together under a certain vision and goal. I’m very proud to look around and see the people that believe in me and our vision. They work hard day and night to solve big problems. There hasn’t been a single difficult moment. There are lot of moments that are very difficult. Entrepreneurship is an irrational decision. You’re going against all odds. You’re trying to do something that no one has done before. You need to convince investors, clients, and consumers. It can all be difficult. If you only like the feeling of getting to the top, entrepreneurship is the wrong thing to do. If you like to be challenged, if you like to solve big problems, if you like climbing, then entrepreneurship is a great thing. It’s all about people. Everyone says this, but you learn that people are very, very important. You have to have the highest standard in finding the right people to help you go on this crazy journey. I would definitely not advise entrepreneurs to do it solo. I think that having partners is a much better, more sane way to go about it. I like a lot of different places. I’ve been fortunate enough to travel the world quite a bit. Warm weather is important. I try to go somewhere that is nice and sunny. A mix of hiking activities and also where I can take it easy is good. There are plenty of places that fit. I would choose a glass of wine—any wine. And as for food, I don’t have a preference. I like a lot of different foods. I read books and blogs about people with great journeys. It can be different stories, from entrepreneurs to sports heroes to politicians. I try to grab a tip or two that I can take with me. I don’t have a single person that I look up to. There are a lot of different figures that have amazing journeys, so I try to pick up on their different examples. There isn’t one person who has inspired me more than others. Definitely all of my kids. I have four kids that I enjoy raising with my wife; and there’s this extra baby called Simplee that I’m trying to build and raise. Be very passionate about what you do. I try to live by this with my family and business. We will continue to innovate and add more value for our clients and their patients. We will keep finding ways to touch more of the population and grow our share.